Researchers from Colorado State University (CSU) are working with counterparts from the University of Rwanda to build an African Center of Excellence in Energy for Sustainable Development that aims to develop the capacity for Rwanda to realize its own, as well as UN, universal energy access, renewable energy, climate change and sustainable development goals. The project, funded by the World Bank, is part and parcel of a broader-based, international development plan to build similar sustainable energy educational and training institutes in 10 countries across the region, an initiative that is already under way. 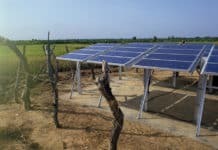 Essentially, the initial focus is on developing Rwanda and southeast African nations’ ability to roll out practical, cost-effective, “solar plus storage” microgrids in rural villages and communities. The cross-disciplinary nature of the CSU Energy Institute’s Smart Village Microgrid team addresses a fundamental issue associated with sustainable energy and development efforts: How to foster productive use of modern, clean energy services by people who in many instances have never had access to electricity before. Electrification’s ultimate measure of success in developing nations – and its real contribution – is to both meet basic humanitarian needs and underpin economic development. But most electrification programs focus on expanding supply with limited investment devoted to enabling end uses that drive productivity improvements and meet critical needs. – highlight the authors of Closing the Circuit: Stimulating End-Use Demand for Rural Electrification, a recently released study from the Rocky Mountain Institute (RMI) and Sustainable Energy for Economic Development (SEED). Nearly half the nearly USD4 billion the World Bank approved for energy access investment from 2000-2008 went towards expanding the available supply – generation capacity – of electricity. Investment to implement “downstream,” productive use accounted for just 0.7 percent globally and zero percent in Africa, where all such investment went towards providing technical assistance, RMI and SEED point out. How to stimulate local, productive use of newly installed electricity access is an issue researchers from CSU and partners have been wrestling with since an initial CSU project team discovered it some six to eight years ago, CSU Energy Institute Senior Scientist Daniel Zimmerle told Solar Magazine. 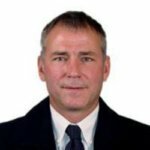 Falling costs and improving performance have resulted in residential and small-scale solar photovoltaic (PV) energy, and increasingly battery-based energy storage, systems becoming commodities – standard systems can be purchased easily almost anywhere in the world, Zimmerle explained in an interview. That begged the question as to why they weren’t being systematically rolled out in off-grid, rural villages and communities in Africa and worldwide in efforts to achieve rural, national and UN universal sustainable energy access goals. 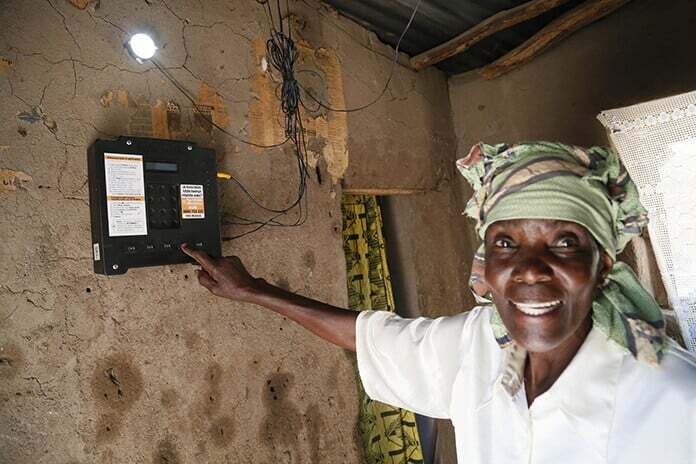 CSU researchers found that lack of financing and support for villagers to purchase, rent or lease downstream electrical equipment and devices and put newly installed electricity access to productive use was at the root of the conundrum. “We realized that it wasn’t a technical problem; there was something else going on,” Zimmerle said. It turned out that the cost of purchasing electrical equipment, appliances or devices was a barrier for many rural residents. “You might be talking about a couple or few bucks (US dollars) a month, but that might be more than a village resident, or even a small business owner, can afford,” Zimmerle explained. The CSU Energy Institute team is purposely cross-disciplinary in nature as a result, as are those of its project partners in Rwanda. Zimmerle has worked with scientists, engineers and students with expertise and experience spanning a wide range of disciplines – agriculture, agronomy, economics, international development, natural resources management, sociology and others – in carrying out solar and sustainable energy project work across the region. Furthermore, with existing electricity use sporadic and exceedingly low, “aggregating demand wouldn’t even move the needle” towards creating the electricity load needed to realize economies of scale and drive the cost of electricity low enough to make it affordable for villagers to purchase on a consistent, regular basis, Zimmerle pointed out. As a result, the Energy Institute team and partners are taking a modular, incremental approach in order to stimulate local electricity demand and productive use. On the demand side, this approach entails working with villagers to identify problems and hurdles preventing them from making productive use of energy access, then developing, pilot-testing and eventually implementing solutions at larger scales. On the supply side, it entails building out small-scale, pilot “solar plus storage” mini-grids, then scaling those up as productive use and electricity demand increases. We decided to take a less ‘techno-centric’ approach to sustainable energy, one that looks at electricity access as a catalyst for village socioeconomic development. We focus on helping villagers figure out ways to put electricity to use where it helps most, then work with them to come up with and implement solutions. A CSU Energy Institute spin-off, MeshPower runs some 70 rural community solar-storage mini-grids in Rwanda and another in Uganda. 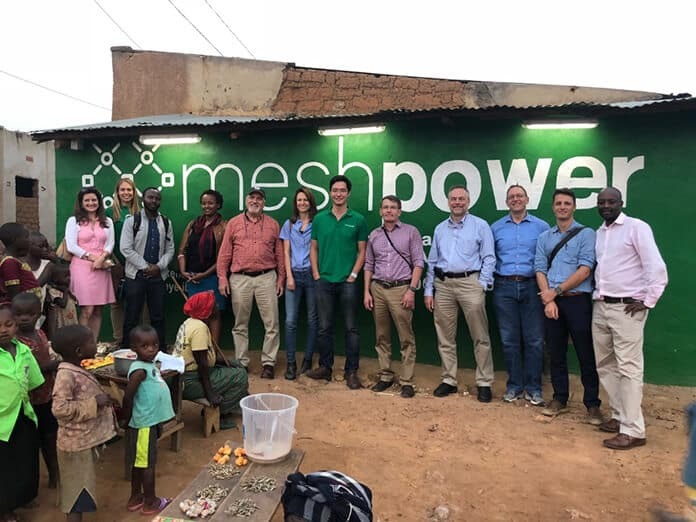 In partnership with MeshPower and Energy 4 Impact (E4I), the CSU Energy Institute research team is conducting something of a controlled experiment in stimulating local energy demand in the Rwandan village of Gitaraga. “Energy 4 Impact came in helped organize local entrepreneurs – welders, haircutters, tailors and seamstresses – who pay a daily fee for mini-grid electricity access. MeshPower put in a bigger, AC system to support that,” Zimmerle explained. The results are “very preliminary, but they look promising,” he said. One local bar owner figured he could save money by unplugging the refrigerator he and project team partners installed so that he could sell chilled beverages, then plugging it in again in line with the daily pattern of customer traffic. That strained the refrigerator to the point where it broke down. Having installed a replacement, researchers are investigating if the refrigerator was of poor quality, if international manufacturing standards don’t allow for periodic plugging and unplugging, or if it just technically feasible to design and manufacture a refrigerator that can continue to operate effectively given such usage patterns. “This was a problem we just didn’t anticipate, and it’s indicative of the types of socioeconomic and communications problems that crop up in these situations, as well as the types of issues that need to be addressed [when carrying out sustainable energy projects]. People in these situations use a very different equation to value electricity,” Zimmerle said. Energy Institute and project partners are working to identify and develop innovative, practical solutions to these problems. One senior designer on the project team is developing a mobile refrigeration unit based on an old-fashioned, window-mounted air conditioner that villagers can transport to and from agricultural fields so as to extend the marketable life, enhance the quality and speed the time to market of the crops they produce, Zimmerle offered as an example. It turns out that the cross-disciplinary, strategic approach being taken by CSU is fundamentally the same as that used in the United States when it successfully carried out its own rural electrification program. 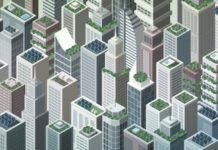 “In the 1930s, only 10 percent of people in the rural United States had access to electricity compared to 90 percent in urban areas,” RMI and SEED point out in their report. By 1956, rural electrification rate in the US had surged to reach 96 percent as a result of coupling investments to increase electricity generation and distribution capacity with those aimed at stimulating productive end-use on the part of residents and businesses. “Rural electricity cooperatives, in addition to stringing power lines and sourcing power generation, provided financing for appliances and equipment such as electric washing machines, refrigerators, water heaters, electric ranges, and milking machines,” the report authors highlight. 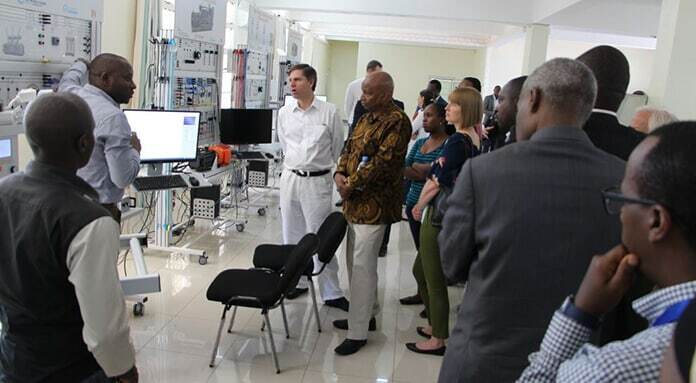 Along with initiatives such as those being undertaken by CSU, the University of Rwanda, MeshPower and E4I, a growing number of young, ambitious mobile pay-go solar-storage systems start-ups have adopted similar approaches, and they’re expanding rapidly across Sub-Saharan Africa. 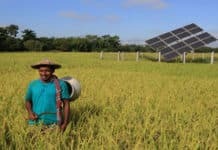 In addition to small, smart-metered mobile pay-go home solar systems, they’re selling, installing and servicing a growing range of energy-efficient AC and DC electricity devices, appliances and equipment in rural communities – solar lamps that double as mobile phone chargers, LED lighting, electric fans and even small TVs and refrigerators. Zimmerle put in stark contrast the difference in energy usage among countries such as the US, where affordable grid access is taken for granted, and developing or lesser developed countries, where many people have never had access to reliable, affordable energy. About 160,000 people live in Fort Collins (CSU’s home) right now, and our utility’s peak load is around 330 megawatts (MW). The entire generation capacity in Rwanda is roughly somewhere between 220-240 MW, and that’s for some12 million people – about a 100:1 difference.